The efficient forged points penetrate hard ice better, with less vibration, and offer the opportunity to combine vertical and horizontal axis, making this crampon suitable to many climbing disciplines. 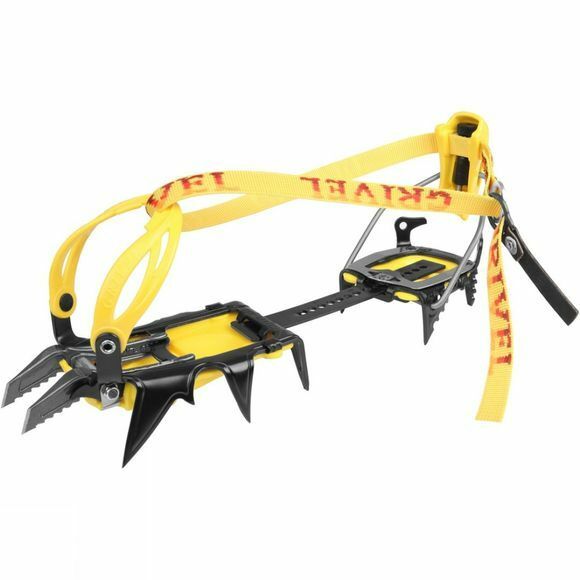 The low profile of the crampon frame places the climber's foot closer to rock or ice, and is less prone to balling up. The New-Matic binding features a plastic harness system that is hinged from two front posts which retain to the boot securely even if it has a shallow, worn front welt or overboots are being used. The harness is made from the strongest, most durable plastic available, developed for the manufacture of alpine ski bindings.